This home essential is a convenient and classy solution for displaying plants and flowers. 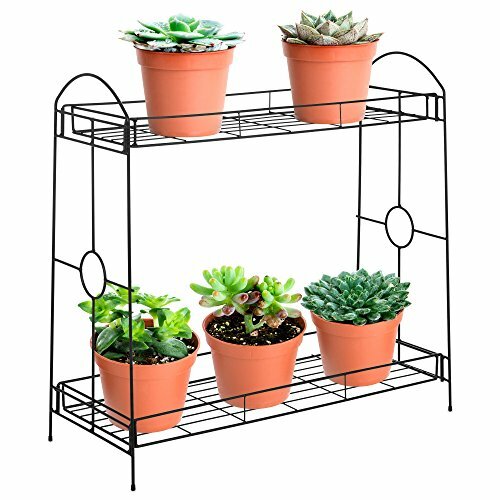 Our 2-tiered plant stand is designed to be open and spacious, giving plants plenty of room to live and grow. The sleek, black frame lets the lush greenery and colors of your floral arrangements stand out, creating a vibrant environment for all to enjoy.